I recently tried Nik Software’s HDR Efex Pro and came away thinking that the product was not for me. In The Photographer’s Guide to HDR Efex Pro authors Jason P. Odell and Tony Sweet say that "with twenty different HDR Methods to choose from, you might feel overwhelmed as to which is best for your image." That was exactly the feeling I did have when I first tried HDR Efex Pro. I wrote a blog post in which I detailed my frustrations with the product and the reasons why I reached the conclusion that HDR Efex Pro was not for me. But after reading this ebook I decided to have a second look at the software. I’ll be adding a post on my second go-around with HDR Efex Pro soon. Meanwhile, in this review I’ll provide a summary of the information contained in the ebook and my impressions of the book. In my previous post I discussed one of the problems I had with HDR Efex Pro—the plethora of methods & presets the software offers and the lack of any systematic way of knowing which to choose in a given situation. In some cases, you can get a good idea of what a method does from its name. For example, you would expect the Texture method to emphasize the texture of an image. However, it would hardly be obvious (to me, at least), that the Fresco method "emphasizes very fine details." Fortunately, this book goes a long way toward solving that problem. The descriptions given here of what the various methods do are invaluable. 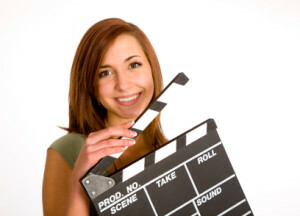 With this information you can quickly narrow down the list of possible methods to use with a given image. The book also provides a list of which presets use which methods. (In HDR Efex Pro a preset consists of a choice of HDR method, or algorithm, along with all the settings used to adjust that method for a desired effect.) This list of presets is also useful as is the fact that some of HDR Efex Pro’s methods are not included in any of the 33 presets. So, if you know, for example, that you want a Grunge-type effect it’s very helpful to be aware that the Dingy and Grainy effects are not included in any of the presets. With this book, it’s easy to be aware. The book’s grouping of presets into "families" including the Realistic Family, the Artistic Family, the Intense Family, etc. is also helpful. This approach is an alternative to the Categories used by HDR Efex Pro itself to organize its presets. One of the things I have been looking for is a set of guidelines on how to apply HDR effects. The information mentioned above is a good starting place for choosing a method or preset. And the book goes further in its "Recipes for HDR Images" chapter. Here you will find such guidelines. For example, in the Landscapes section the image goals are first stated followed by a brief discussion of the settings that will help to achieve those goals. One useful guideline provided here is that the optimal workflow is from top-to-bottom in the HDR Efex Pro interface. Presumably, the UI was designed with this idea in mind but if the Nik Software documentation mentioned this anywhere I missed it. However, this isn’t a strict rule as the book points out that the Method Strength slider, positioned at the bottom of the main adjustments panel is typically the second control which should be adjusted. It’s this kind of information that helps you to become productive with complex software like this in a reasonable amount of time. Explanations for what the controls do were also enlightening; e.g., it wasn’t previously clear to me that adjusting the tone compression compresses or expands the overall dynamic range of the image (compresses or expands the histogram). After reading the explanation it was clear that this works in the same way as a contrast curves adjustment layer. This basic knowledge is highly useful to understanding how to use the product. True, you could figure this out by watching the histogram but who has time to reverse engineer every control in the product? This book could be called The Missing Manual for HDR Efex Pro. As I mentioned in my original review of HDR Efex Pro, I found Nik Software’s documentation lacking. The failure of Nik Software to provide a decent manual nearly lost them a sale. I had rejected the product because, after trying it, I still didn’t understand how to use it effectively. It wasn’t until I got a copy of The Photographer’s Guide to HDR Efex Pro that I changed my mind and purchased the software. 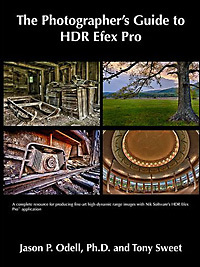 Aside from the lack of source files I found this to be an excellent book and a real value to anyone who wants to learn more about HDR techniques with Nik Software’s HDR Efex Pro. Before closing I wanted to also mention that I found the included HDR galleries both useful and instructive. I particularly liked the Natural HDR Gallery as it provides great examples of beautiful images which can be achieved with the HDR technique while retaining a very natural look. Many of the HDR images that you see have a distinct "HDR look" which many people find unattractive. These naturalistic examples show that HDR is just another tool and that it can be used in a variety of ways. In addition to the HDR processing info, the discussions accompanying these gallery shots include, where appropriate, information on how and why the exposures were captured as they had been.